Described as an “exclusive destination for editor-approved style”, Endource brings together fashion finds from across the online retail space that have been ratified by some of the world’s favourite journalists and bloggers. A team of “style savvy curators” scour top fashion publications, adding the best products they see to the Endource site every day. A visitor to the site learns about which products and styles are trending, curates their “edit” and adds it to their basket. Endource “sources” every product a shopper has chosen and delivers their “fashion edit” straight to their door. As you can see, the skeleton of Endource is that of an ecommerce service (products are added, online shoppers add items to their basket and the products are delivered), but what brings the process together and gives the company a real sense of character is editorial content. The page is split into different lifestyle categories (e.g. 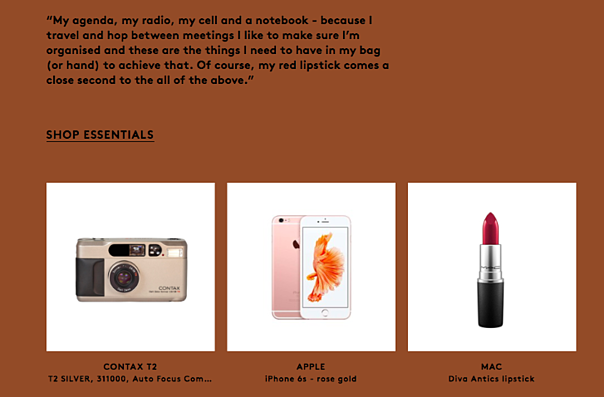 Workwear, Holiday…), as well as different pieces of individual content themed around each one. 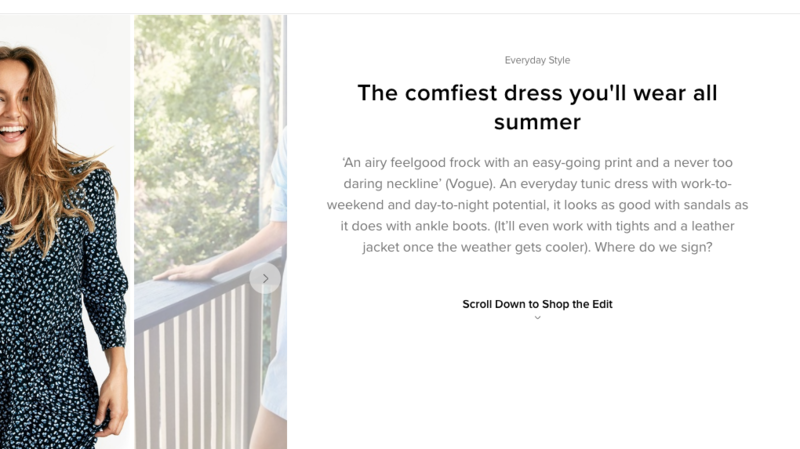 For example, under the “Everyday Style” category is a post entitled: “The comfiest dress you’ll wear all summer”, accompanied by the call-to-action (CTA) “read more”. 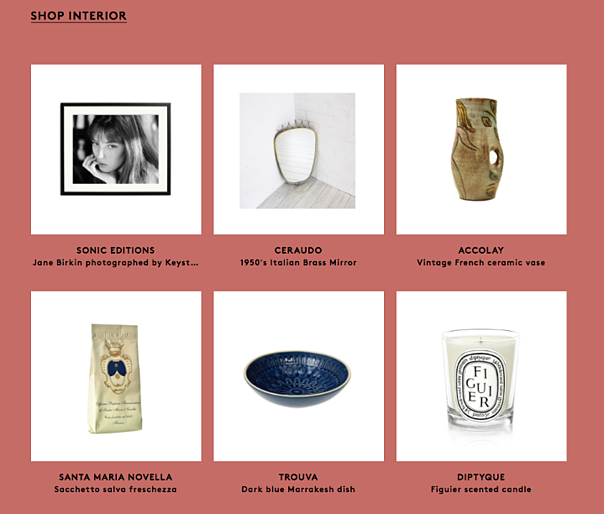 Once clicked, this page looks, feels and reads like a piece of editorial content, with a quote from Vogue at the very top and an invitation to “Shop the Edit” sitting atop a list of product recommendations. Which brings us to what is arguably the most important aspect of any ecommerce site: the product pages. What’s nice about Endource is the fact that customers can shop straight from the site, rather than being redirected to the retailer’s product page. That said, the site does list retailers that sell the item. 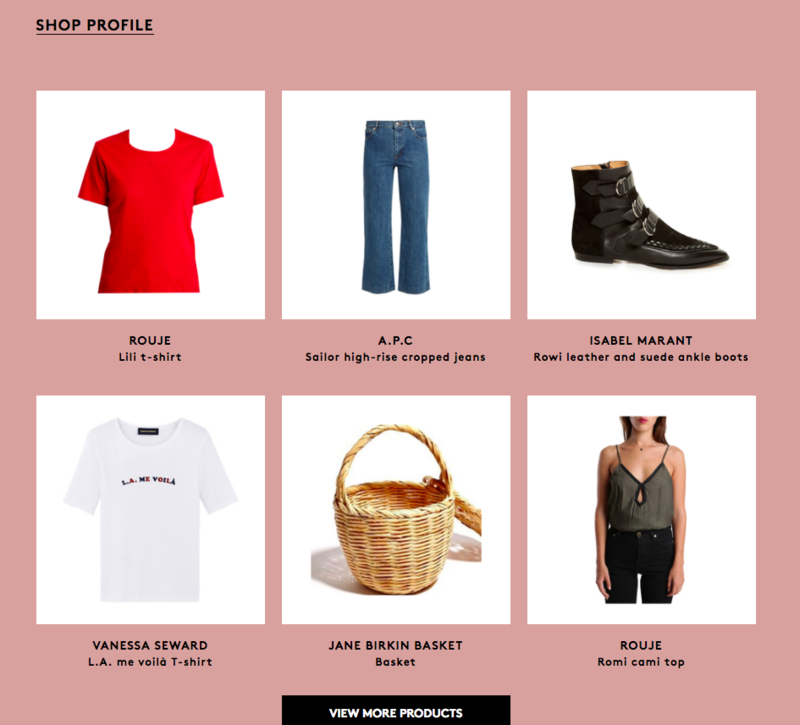 Next up is Semaine, an online magazine-meets-concept store that, each week, interviews a different tastemaker (this could be an actor, designer, musician etc) and offers readers “shoppable insight” into their world. Founded by Michelle Lu and Georgina Harding, the site has essentially founded a whole new way to shop online, encouraging website visitors to “Forget the look. Shop the life”. Let’s take the brand’s interview with fashion entrepreneur Jeanne Damas as an example. 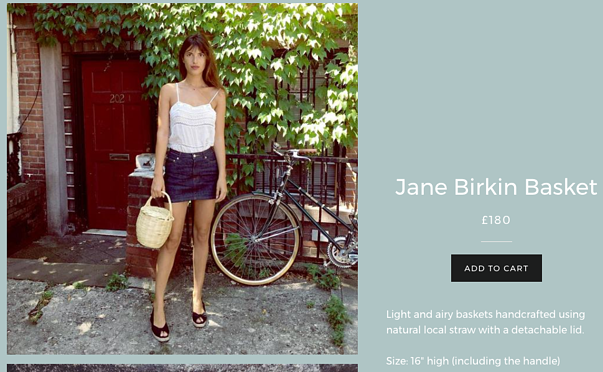 Once a browser clicks on a product they fancy, they’re taken to a clear and crisp product page that offers more information *as well as* pictures of Jeanne sporting the item. Semaine also has a dedicated shopping site, for those less bothered about reading the interviews and more keen to find an item direct. Writers have always had an interesting relationship with fashion, as is demonstrated in the recently published book Legendary Authors and the Clothes They Wore by Terry Newman. It makes sense, then, that the key players in the fashion journalism industry are taking measures to make the content they provide shoppable. 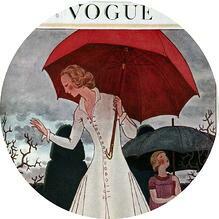 One of those players is Harper’s BAZAAR, America’s first fashion magazine which, over the years, has played host to the likes of Virginia Woolf, DH Lawrence and Nancy Mitford. Not only is the publication, which was founded in 1867, linking any items it features in its online magazine to the retailer selling it, but also running its very own ecommerce store as a side project. So where does the “commerce” part come in? 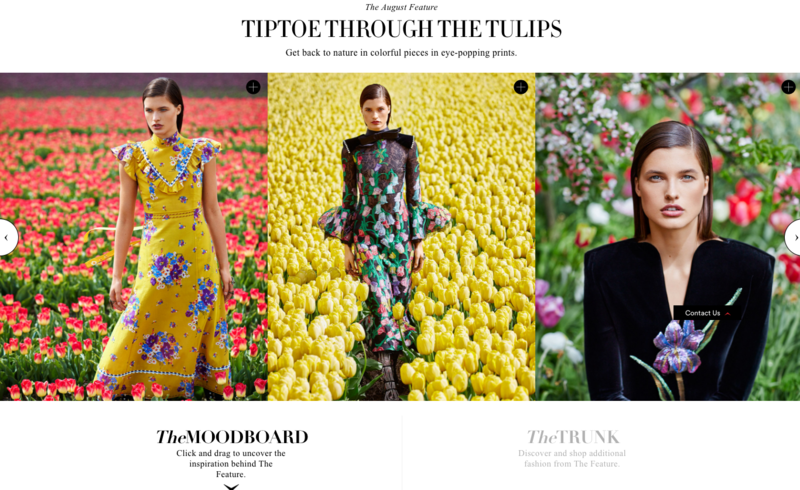 Zooming in on the captions below the images, a reader is invited to explore a “mood board” which brings together all of the items used in the tulip feature, and has a functionality allowing them to “click and drag” products they like the look of. This is an innovative technique to enable consumers to shop as they read, which wouldn’t be possible in a print magazine. In case you missed the headlines last month, Farfetch recently announced a “global content and commerce partnership” with Condé Nast (resulting in the closure of the publishing house’s Style.com platform). 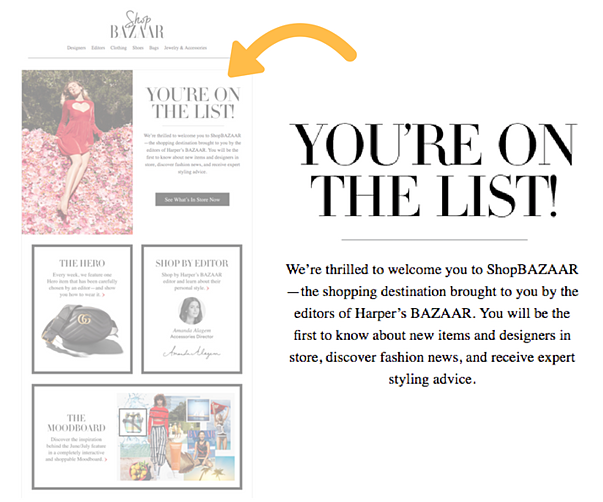 So it’s safe to say it’s leading the way when it comes to editorial-first ecommerce. Founded in 2007 by Portuguese entrepreneur José Neves, Farfetch is a global luxury fashion online platform selling products from hundreds of boutiques and brands across the globe. So how does it differ from other leading ecommerce sites? 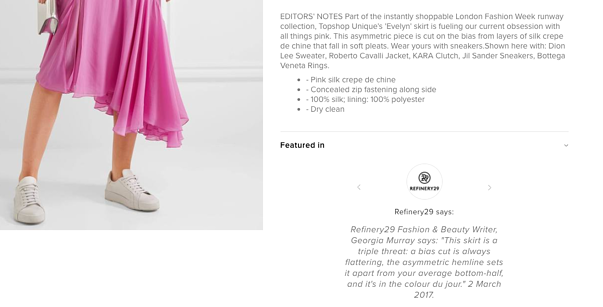 As spelled out in its “Our History” section, Farfetch aims to not just give consumers the products they want but also a wealth of style inspiration via its cutting-edge editorial (for example, its “wardrobe tips” and trend-let edits). 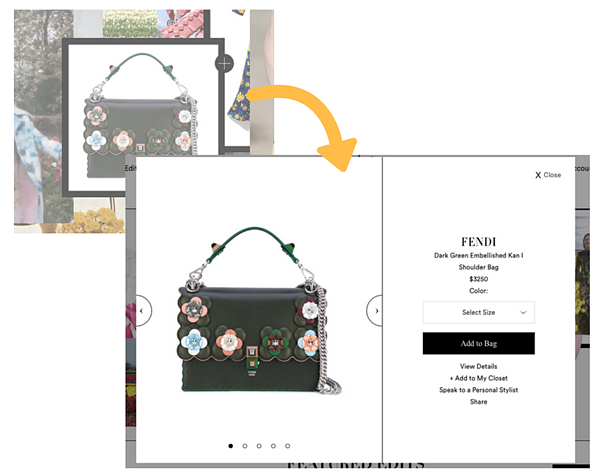 Farfetch has a dedicated “Editorial” tab in its navigation bar for the consumers who do want this editorial-first approach (opposed to those who want to head straight for the category and product they need). 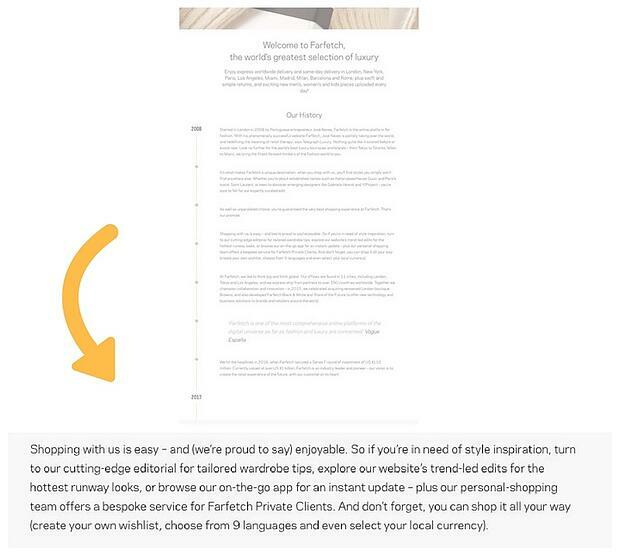 Similar to Endource’s “Inspiration” tab, Farfetch’s “Editorial” page is laid out in a similar way to today’s leading lifestyle and fashion blogs (for example, WhoWhatWear and Refinery29). 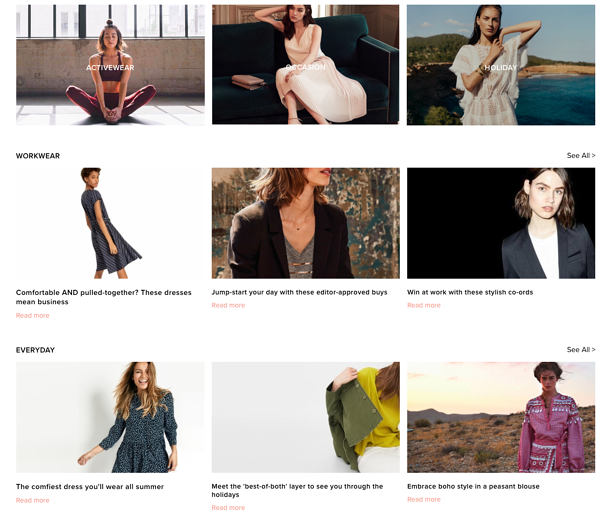 All of these blog posts feature a mix of content and commerce; exploring a trend, idea or interview before providing a perfectly curated “Shop Now” CTA. Glossier, strictly speaking, is not a 100% “editorial” first ecommerce site, but (thanks to its origins) it’s definitely worth including in a blog post on the symbiotic relationship between content and commerce. The beauty startup was created in 2014 by the founder and editors of the highly successful beauty blog IntoTheGloss.com —and the two websites appear to still be closely affiliated today (despite existing on separate domain names). As for the blog posts themselves, Into The Gloss writers are content marketing pros. Instead of bombarding readers with offers and deals for its sister site, the blog’s famously good content is not compromised. Ever. But just like Into The Gloss retains its own identity as first and foremost a blog, Glossier is fast-becoming an editorial-first site in its own right. As every marketer knows, good content isn’t just about words; it’s a combination of copy, images, videos, social media—whatever else people might find engaging. The above gif is a case in point: instead of generic product images, Glossier creates a mix of fun, colourful snaps that wouldn’t look out of place on Instagram.